Begley Properties LLC is another website we built for Balance Creative. Balance Creative provided the graphics for the site and described what they needed for their client. And we made them a great custom website. 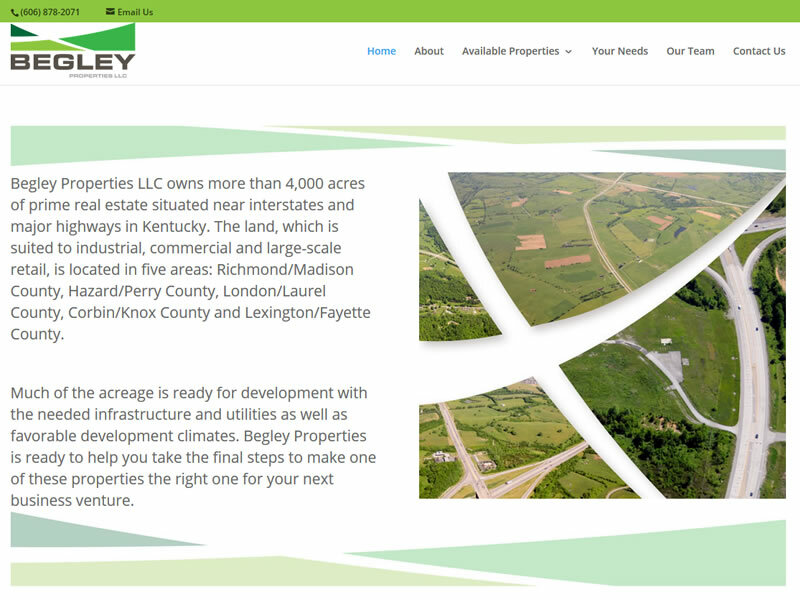 Begley Properties LLC is a business located in Kentucky.